This brown plus size tshirt showcases a starburst of light pink illuminating tie dye color. 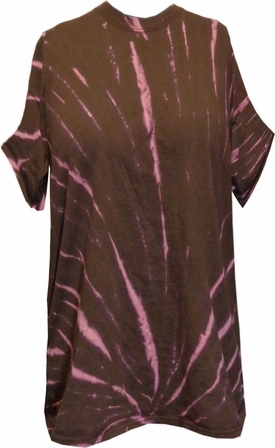 These are authentic tiedye plus size tshirts using various colors shown. Each pattern will be unique and different. Chest & Hips appx 56"